Cook Islands Language Week - Te 'Epetoma o Te Reo Kūki 'Āirani celebrates the languages spoken by the people of the Cook Islands; Cook Islands Māori, the Western Polynesian language Pukapuka, and the distinctive mixture of Cook Islands Māori and English spoken by the people of Palmerston Island. 2019 Cook Islands Language Week is on from Sunday 4 August to Saturday 10 August. Cook Islands Māori has a number of distinct dialects, the most widely used of which is Rarotongan. 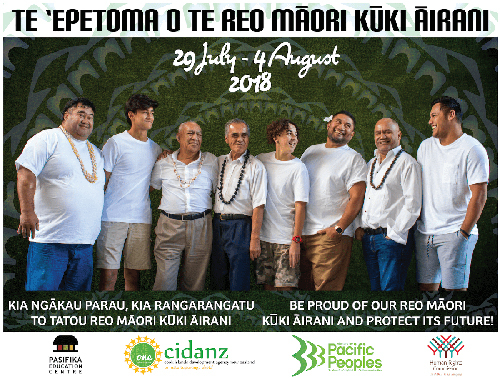 Be proud of our reo Māori kūki 'Airani and protect its future! Some libraries will be adding some cultural elements from the Cook Islands to their StoryTimes! Whether it’s your first time or you’re a regular, find a library near you that will be sharing these unique experiences. This is a chance to search the library and see how Cook Island words are spelt. 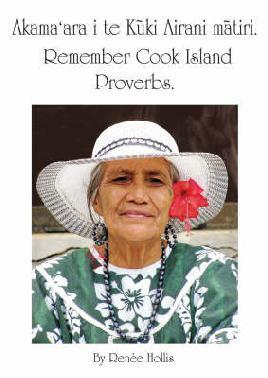 Complete the worksheet and greet your lovely library staff with the Cook Islands phrases. If your librarian sees that you gave the phrases a try, you will be rewarded. Monday 30 July to Friday 3 August. Available throughout the day at Aranui, South, Spreydon, Te Hāpua and Upper Riccarton Libraries. Many thanks to Sera Thompson from the Ministry of Pacific Island Affairs for providing these recordings. View our Cook Islands Language Week photos.